Israel originating patents filed in the US jumped 21 percent in 2014, according to a study by BdiCoface. The study found that 3,555 Israel-based patents were filed in the US during 2014,which is nearly 389 patents per million Israeli inhabitants. Only Japan, with 445.6 patents per million, and Taiwan, with 524.4 patents per million, outranked Israel, which was ahead of South Korea, Switzerland, Sweden and Finland. From 2009 to 2013, the companies filing the most US patents for Israeli inventions were IBM (674 patents), followed by Intel (435), Marvell (281), Sandisk (261) and HP (197). The top educational institutions in Israel filing US patents were Tel Aviv University (161), the Weizmann Institute (158), the Technion (137) and the Hebrew University of Jerusalem (116). These statistics are high compared to other universities abroad and is seems that Israel’s tech transfer policy is working. Probably due to the relatively high cost, there has been a drop in European Patent Applications for Israeli inventions. We note that the US is a preferred location for Israel inventors who may not bother filing in Israel. For fast moving industries such as telecommunications, it may make sense only filing in the US. For methods of medical treatments or after the inventor has published or presented his invention in public, there may be no alternatives. Nevertheless, we consider not filing in Israel may be a costly mistake. Often Israel has more than one company in the same technology area. Current employees may become competitors. Enforcing a patent in Israel is much cheaper than enforcement in the US and the costs of also filing and prosecuting in Israel may be minimal. Finally, with the PPH (Patent Prosecution Highway) first filing in Israel may speed up the process of obtaining a patent in the US. 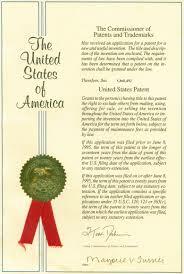 We also note that patents and patent applications are not apples and oranges. The absolute numbers and even numbers per capita are statistics of doubtful value as some patents are worth billions and most aren’t worth the cost of obtaining them. That is true even if they are exceptionally well written, simply because some technologies are implemented and others are obsolete when filed. I do recommend that my Israel based clients seriously consider filing in Israel. Apart from odd Judaica related inventions and other niche products, most file in the US. China is taking over from Europe as a primary destination, but Europe, Korea and Japan are all popular. Australia and India are also on the patent map. The correct strategy of where to file and indeed of what to file is very case specific and depends on a number of variables including but not limited to budget, business plan, technology field, the centrality of the patent to the company, the size of potential and actual markets and where competitors are domiciled. I love matza bread.it is so delicious. I like it with cheese or honey.